During rough machining the main purpose is to remove as much material in as little time as possible. 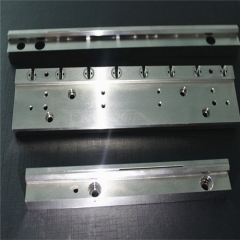 The tool steel has not been hardened so that the cutters can take away material quickly. In this step we are not machining any small details. Before we start machining the fine details , We grind the surface of material. We are able to grind a wide variety of components and shaps,Fully profficient in materials ranging from stainless steel, aluminum, brass, bronze, rare metals, and plastic. After milling and Grinding, the parts will be transferred to the next CNC machining center for fine machining, using complex computer programming and modern cutting tools to get fine details. Once the machining is done, the par needs to be EDM. The parts required extensive use of EDM. 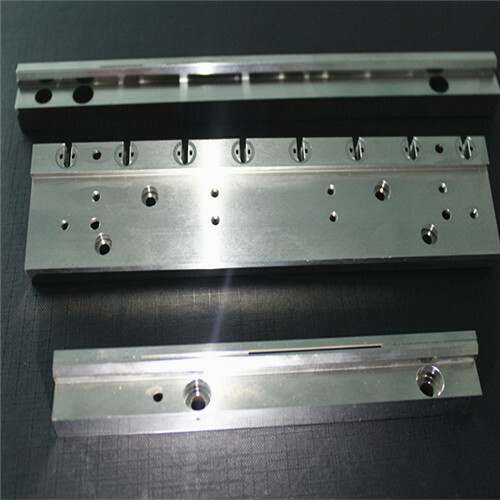 Electrodes for the EDM machine are custom made for those components. In this case, EDM allows for more precise corner radii than CNC machining. Next step we need to do wire cutting for the details. Finally: It is then thoroughly inspected to the customer’s specification before shipped to customer.